Life in Sonoma may be synonymous with picturesque vineyards but it is also synonymous with kid friendly activities of all sorts. Finding kid friendly wine tasting experiences, however, can be a little tricky as some of the tasting rooms seem more like museums. From intimate to commercial tasting rooms, here’s a list of my favorite spots to take family and friends with kids in tow. Since this article is about wine tasting in Sonoma, I’ll first mention a delightful tasting room steps from the historic Sonoma Plaza. Let your kids explore the Sonoma Plaza and then continue the fun at the Roche Winery Tasting Room. 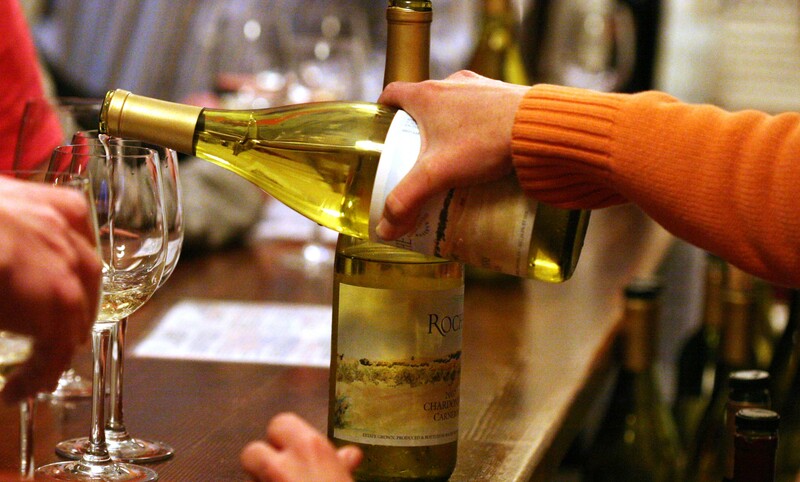 In addition to exquisite wines, Roche offers a perfect place to experience life Sonoma style. Not to worry if your tots are still restless, Roche has a lovely patio for kids to roam. 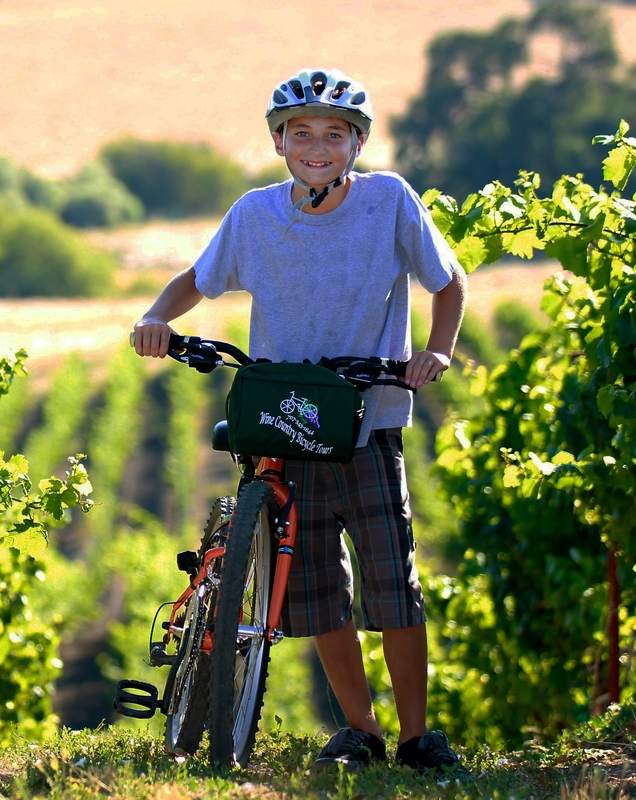 If your kids are older, Roche also has bike tours of the vineyards! Meadowcroft is ideally situated at Cornerstone. Why not let your kiddos let off some steam while hunting around the gardens, and then pop in for a tasting? That’s what I did. And, to be honest the folks at Meadowcroft were more than hospitable with the two galloping tots. They even went out of their way to invite me to feed my kiddos in the tasting room. Bartholomew Park offers as its name suggests is in a park setting. With trails and picnic grounds to roam, all will delight in a visit. Interested in hiking? Then load your toddler in your backpack and take a hike. Or bring a picnic and enjoy the grounds. No list of family friendly Sonoma wineries would be complete without mention of the Larson Family Winery. This place includes picnic tables and a grassy area with kid friendly games. If you like bubbles, then try theirs. We used it to celebrate CJ’s baptism. Also, for future holiday planning, note that Santa visits Larson. Wine tasting and Santa — enough said. Desire a more intimate tasting experience? Then consider visiting Peter Cellars. Located on a private estate equipped with bocce ball, it doesn’t get more kid friendly than this. Be forewarned, however, that this boutique winery offers wines so delightful you’ll be hard pressed not to join the wine club! Note that tastings are by appointment only. Up for a bit of a drive? Then venture to two wineries in my neighborhood – Benziger and Eric Ross. The warm, friendly and intimate environment at Eric Ross Tasting Room is worth a visit. Eric Ross is so kid friendly that they keep hot-wheel cars on hand! 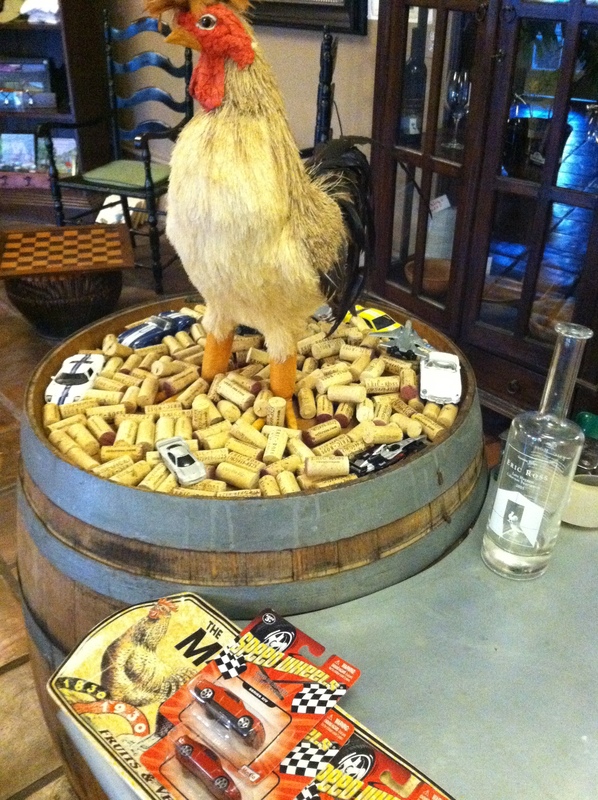 And, Dennis and Diane, the tasting room managers, make it a point to welcome kids. 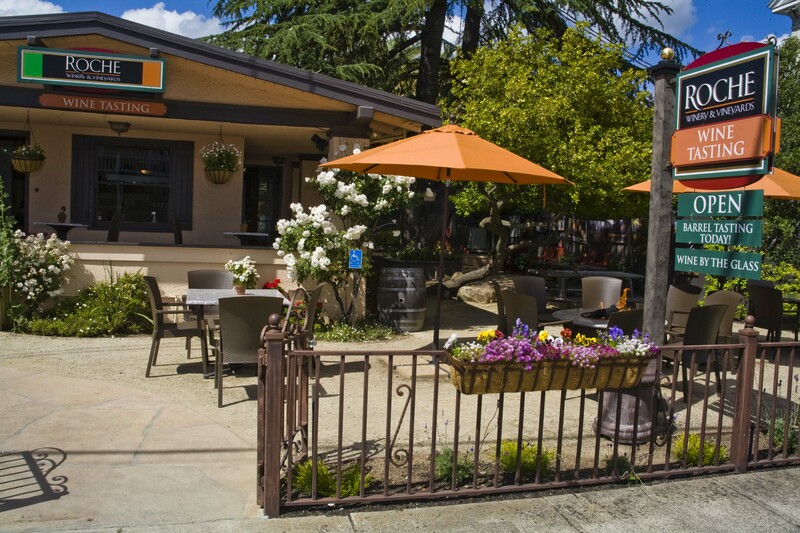 Benziger in Glen Ellen offers a fun experience. It even boasts a play-structure! I think one of the only play structures in Glen Ellen. Take kids on the tractor tour of the vineyard or let them climb the fort and speed down the slide. Either way you win! Kenwood offers numerous spots as well. Why not visit VJB? VJB offers a little piece of Italy right here in Sonoma. Feel transported by the environment, wines and flavors. In addition to a tasting room, VJB houses a lovely Italian deli and dessert cafe. The courtyard contains kids providing a respite for parents as they leisurely nibble on Italian treats while letting kids race around the courtyard. I highly recommend the prosciutto and arugula pizza. Totally delicious! I hope you enjoy some of these places. Did I miss your favorite spot? I’d love to hear about it! This entry was posted in adventures, kid friendly Sonoma, sonoma, tips, Uncategorized, wine tasting and tagged glen ellen, kid friendly Sonoma, kid friendly wine tasting, sonoma, wine tasting on January 18, 2013 by Modern Mama.